With over 35 years of experience in Tempe Real Estate, Gilbert, Chandler, Phoenix, Scottsdale, and Ahwatukee real estate as well as intimate local area knowledge, I work extensively to help buyers and sellers meet their real estate goals. I'm received my Certified Residential Specialist Degree in 1993 (it's like having a Ph.D. in selling homes) and my Certified Relocation Professional certification in 2001. 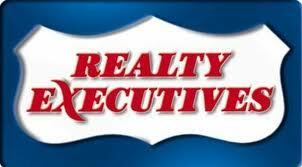 Fewer than 3,000 Realtors nationwide have both designations. As a listing agent in the Valley of the Sun, my extensive marketing plan gives a homeowner the opportunity to get the maximum value for his/her property. For buyers, I search until I find the perfect property and then I help negotiate the best possible price. Nothing satisfies me more than seeing the smiles that come with a successful sale or the purchase of a lifetime. Thanks again for choosing Burton Cagen as your on-line Tempe Realtor, Gilbert, Chandler, Phoenix, Scottsdale, and Ahwatukee real estate source. I am committed to sharing my knowledge and experience with my clients to help them achieve thier goals!